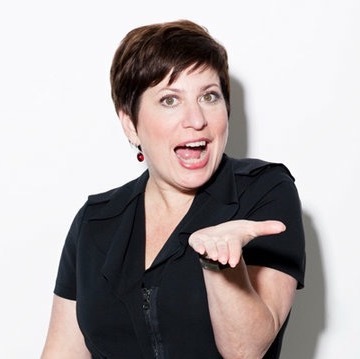 I'm an inspired educator and engaging leadership and personal development coach dedicated to developing individuals and teams to their fullest potential with strengths-based workshops including "Developing Your Strengths," "Creating a Collaborative Strengths-Based Team," and "Strengths-Based Leadership." At every interaction, I aim to blend productivity and progress with an authentic and warm spirit that helps spark the inherent strengths in each individual, always championing and celebrating the potential in others. Whether your need is individual coaching or strengths-based workshops, I am dedicated to developing and delivering transformational educational solutions. As a small town Kentucky girl, I began my career as a counter manager with one of the largest beauty brands. For more than thirty years I grew with this family company, experiencing the transformative power of developing others through education and leadership development. As Global Head of Education for a billion dollar corporation, I had exposure to varying levels of effective education. During my career I was sold education that didn’t quite hit the mark: lecture-heavy workshops with little to no learner engagement and no behavior change back on the job. As a result, my team had to create talent development programs from scratch--programs that were known as the best in the industry. Since starting my company, potential., we have become known for delivering education programs centered around dynamic, hands-on experiences that transform people, teams and organizations. Today, I’m joined by a best-in-class team of facilitators and coaches who set out to empower individuals to achieve their greatest potential. Some of my clients include: The Library of Congress, Creative Artists Agency, American Express, Giorgio Armani Beauty, PBS, Survey Monkey, Louis Vuitton, Christian Dior Couture, Fresh Cosmetics, BAE Systems, David Yurman, Estee Lauder Companies, Etsy, Bayada Healthcare.